It’s that time of year again … festive lights, festive bikes, winter riding, wishlists, and all of the riding that goes along with the holiday agenda – from the baking to the shopping to the shipping. 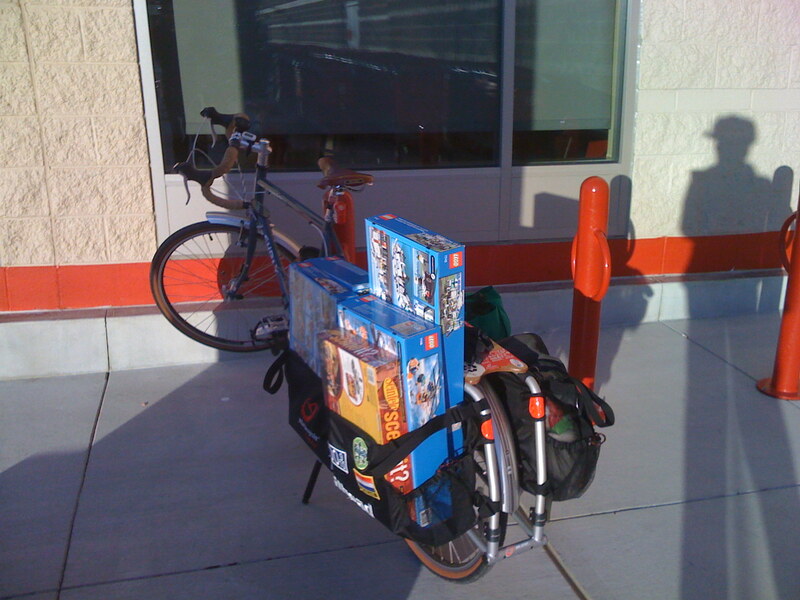 And there is no other bike that can get it all done-with-fun like an Xtracycle. There has been a lot of chatter in recent months about the growing selection of cargo bikes on the market. And kind of like the great Pillsbury Bake-Off, the cargo bike discussion seems to be taking on elements of a “Hauls(bury)Bike-Off”. 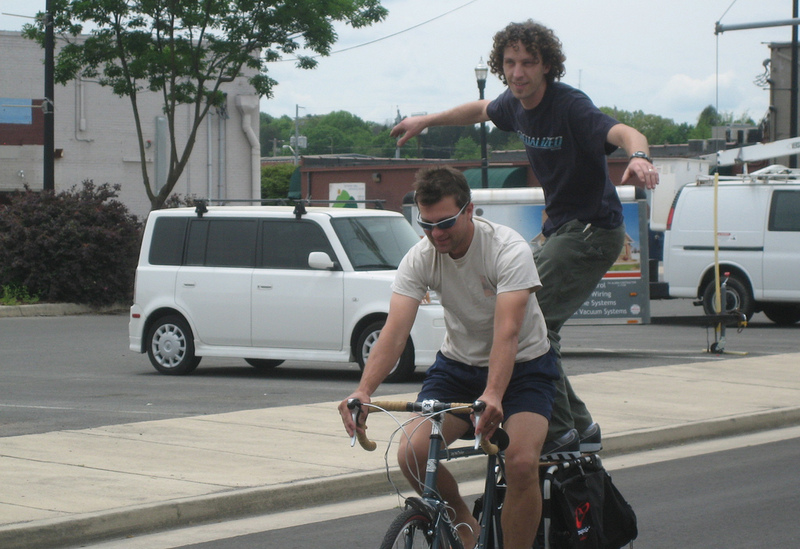 From Xtracycles to bucket bikes to bakfeits to beer-on-tap bikes, it’s a great discussion to be having … for in my opinion, any bicycle that enables someone to substitute bike for car is a wonderful thing – and nothing does that better than a cargo bike. 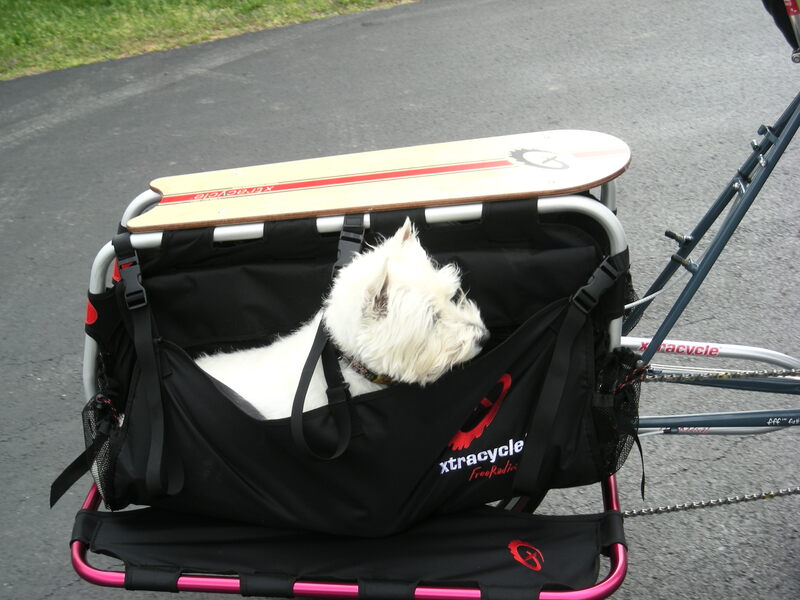 However, if we ever get down to casting votes, I cast mine without hesitation for Xtracycle. If I could only own one bike, it would be my Xtracycle. No question, no debate. It is my favorite bike above all others, and the one I could not do without. And as I’ve looked at and contemplated some of the other contenders, I’ve been able to reach a few conclusions about why Xtracycle rules the cargo bike contest…. 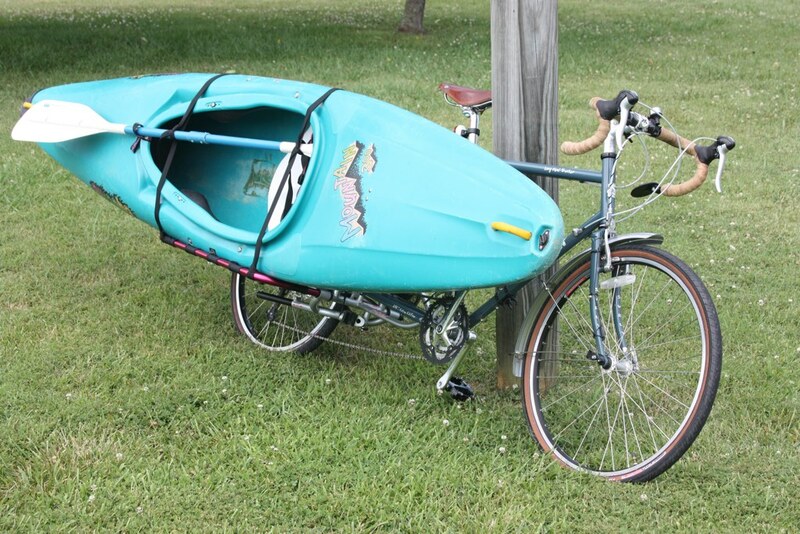 No other cargo bike can accomodate irregularly-shaped loads as easily as an Xtracycle. 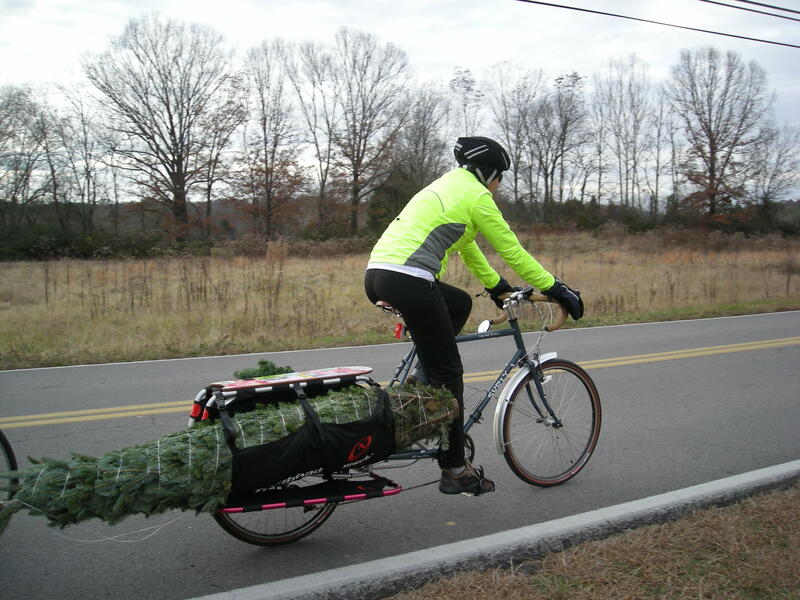 You want to haul a Christmas tree, a kayak, a weed-eater, a vacuum cleaner or another bicycle? On an Xtracycle, it’s a piece of cake. 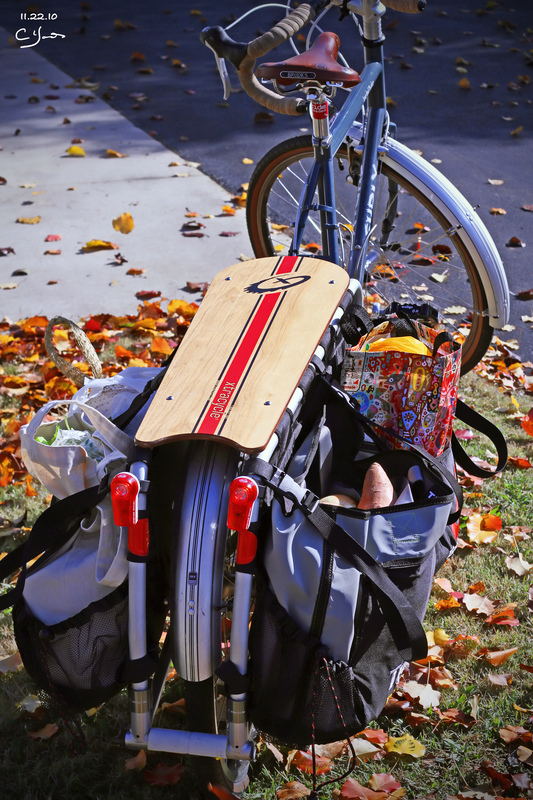 We’ve hauled them all; easy to load in a variety of ways, easy to secure, easy to ride with. Even for a silly old lady like myself. I like the fact that my cargo sits behind me. 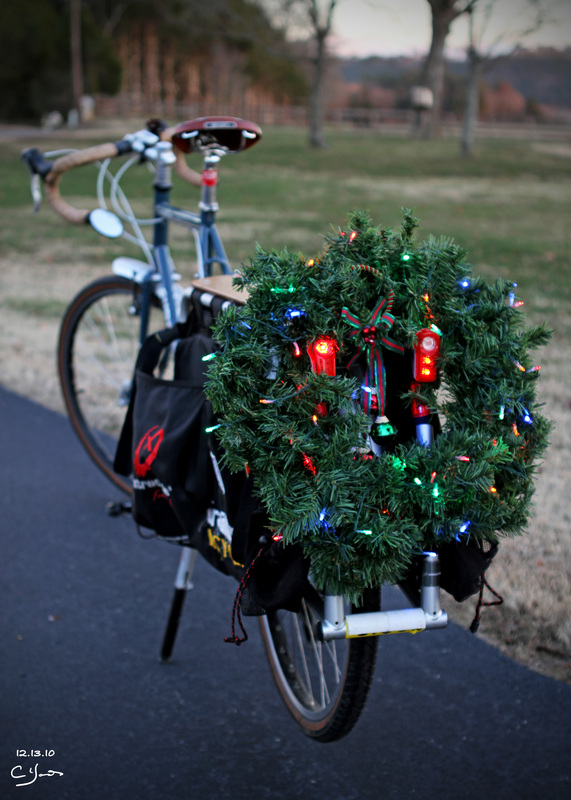 Other cargo bike enthusiasts might like that Christmas tree or preschooler directly in front of them, but I like to have an unobstructed and distraction-less view of what’s ahead, thanks. You won’t out-grow an Xtraycle. While kid-hauling bikes like the Taga or the Feetz might be a fun way to carry your pre-schoolers, I can’t help think this is a short-lived use of a pricey bike. Kids grow – quickly. 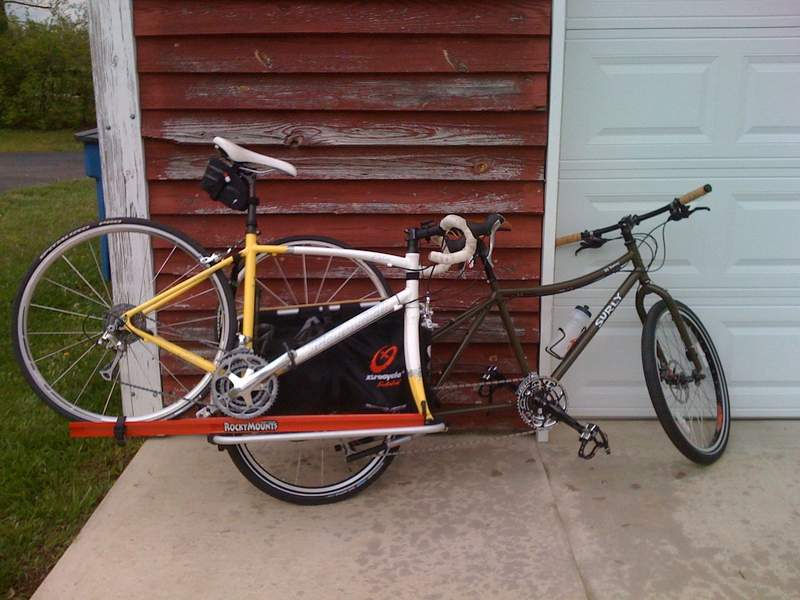 Why not carry your pre-cyclists on a PeaPod (or two) on the back of an Xtracycle for that short period of time? In the end, you’ll continue to love and use an Xtracycle for countless things, rather than being stuck with a limited-use stroller-bike after a few short years. If I need to take my Xtracycle somewhere else (out of state, or beyond timely riding distance) I can carry my Xtracycle on my vehicle. Using an extended rail on our Thule roof rack, we’ve transported our Xtracycles out of state for vacations and other weekend cycling trips. I can’t see putting a Madsen or a Bakfeit or a Feetz on top of my car nearly as easily, if at all. 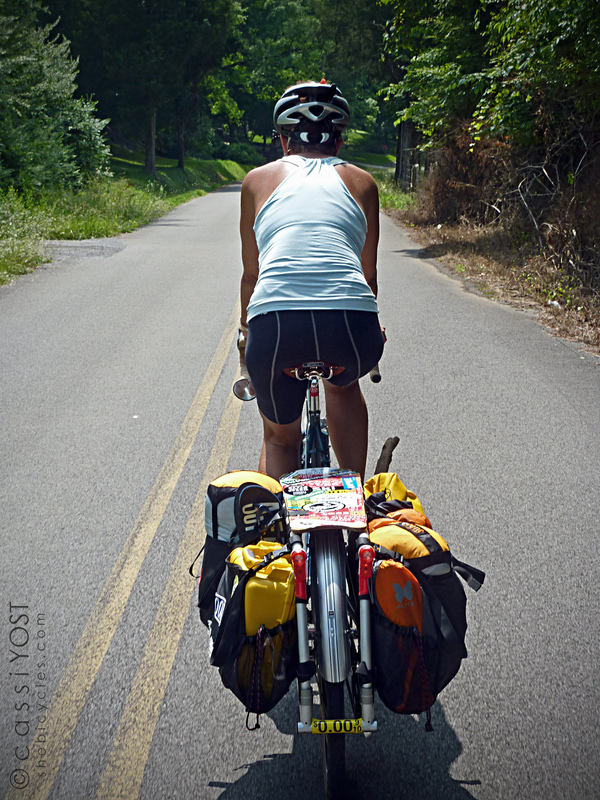 But the biggest reason of all to own an Xtracycle … it is beautiful bike just to ride. Even when I don’t have to haul anything, I love being out on my X. It’s a beautiful ride – on the back roads or in traffic, in town or on the bike path. I don’t have to make a conscious decision when I head out – like, “do I need to take the big bucket bike, or utility trailer today?” I ride my Xtracycle like other folks ride a road bike or a commuter – and if I get a phone call along the way telling me we’re out of orange juice at home, I always have the easy ability to stop and pick some up. I just can’t imagine that I would ever do the same amount of non-cargo everyday riding on bucket bike or bakfeit. 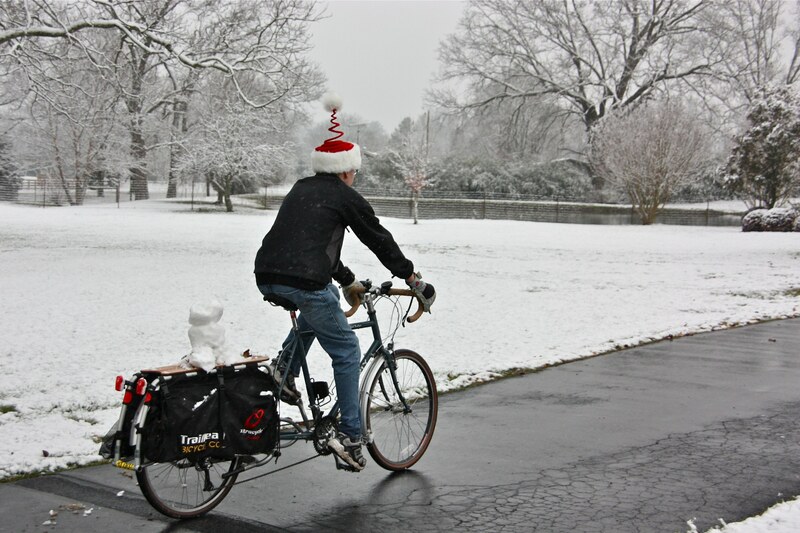 Happy Haulidays* and Happy Pedaling! #330daysofbiking Days 61, 62 & 63: bikamping! The weather forecast was a little sketchy; scattered showers throughout the weekend. 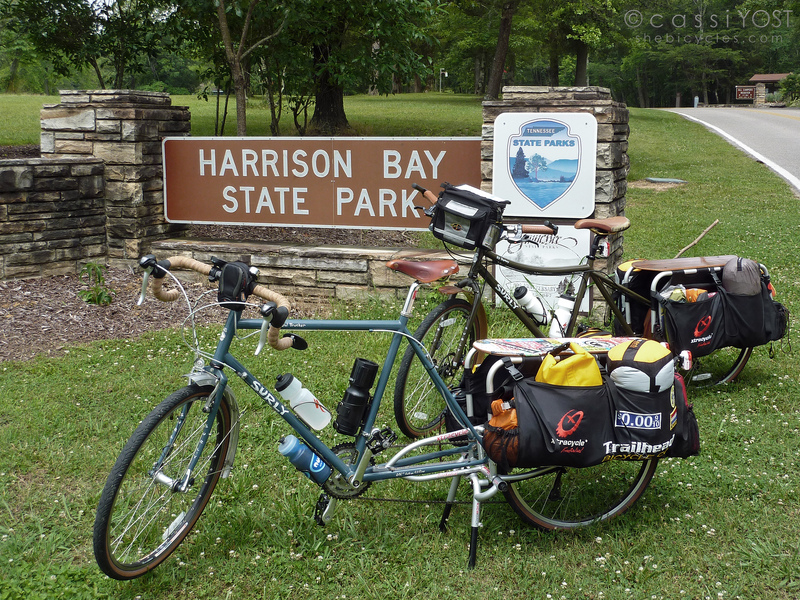 We decided to camp at Harrison Bay State Park, roughly 27 miles from home – figuring that if it did start raining, we wouldn’t be stuck slogging through bad weather for hours on end. 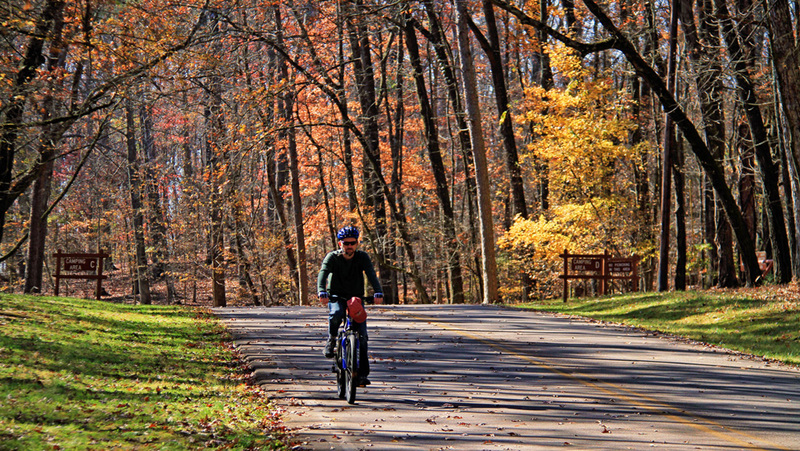 Fortunately, the weather cooperated and we had a dry ride all the way to the park. Quiet roads, nice scenery, especially when we approached the river. Managed to get a campsite along one of the inlets, and had our gear set up and stashed away under a tarp before the rain started. We headed over to the park’s marina to get some lunch, and while we were there, it started pouring. Spent the afternoon dodging intermittent showers … had a swim, some leisurely time reading in the hammock, a little more riding around within the park. After dinner we found a nice spot with a swing across from the marina – lovely views of the water, the boats, waterfowl, people fishing. More rain finally sent us into the tent for the rest of the evening – reading by camplight, and sleep. Day 62: Woke up to mist over the water, grey skies. Beautiful in its own way. By late morning, the sky began to clear and we decided to make our way down to the Chattanooga Riverwalk/Riverpark. Parts of this ride were lovely, and other parts were pretty nasty – especially the 6-lane commercial stretch of Hwy 58 as we approached the Riverpark. Blech. The weather was really hot, and the humidity was smothering after all of the rain. Despite the heat, riding along the river offered some great views. Just as we arrived at the Riverwalk, it started to rain – again. Fortunately just a quick shower. We followed the Riverwalk toward downtown Chattanooga, and stopped for a great lunch – alfresco – at The Boathouse along the river. Sat and enjoyed the shaded canopy and the breeze coming off of the river, lingering over our late lunch for as long as we could. Finally decided to start heading back. Returned to the campground for a late afternoon swim. 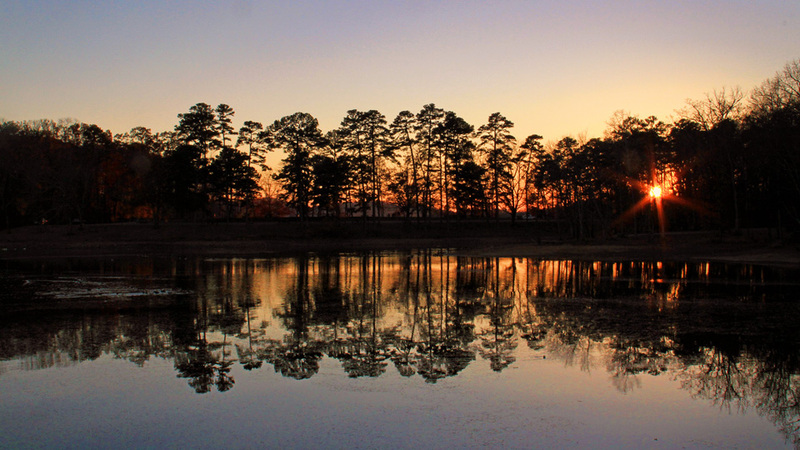 The weather had finally decided to clear up, and the evening was lovely. We had a campfire and stayed out under the stars ’till nearly midnight. Day 63: Woke again to grey skies and the threat of rain. Packed up early and decided to head out for home. 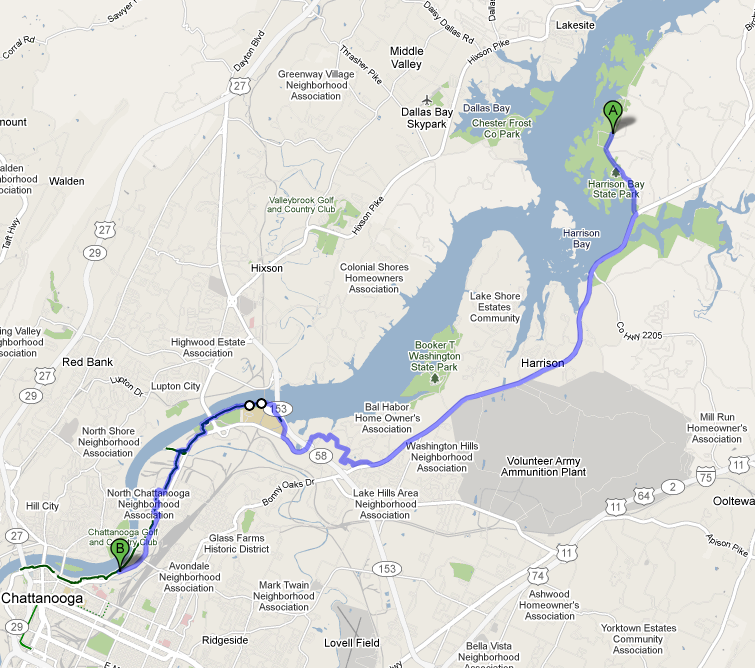 Passed through a few very light showers along the way, but nothing terrible. Humidity was pretty ridiculous, though. So I guess today officially counts as #30daysofbiking (times) 2 … Day 60! Only a very brief ride today. No paddling, no long road ride, no trip to town – just a quick spin on the Xtracycle and a day of digging out camping gear and packing up for a weekend bikamping trip. 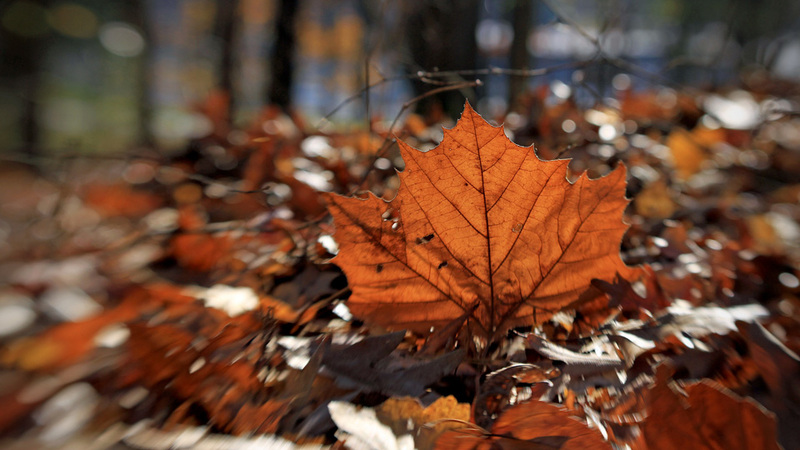 Hoping the weather will cooperate; scattered showers in the forecast. Fingers crossed. 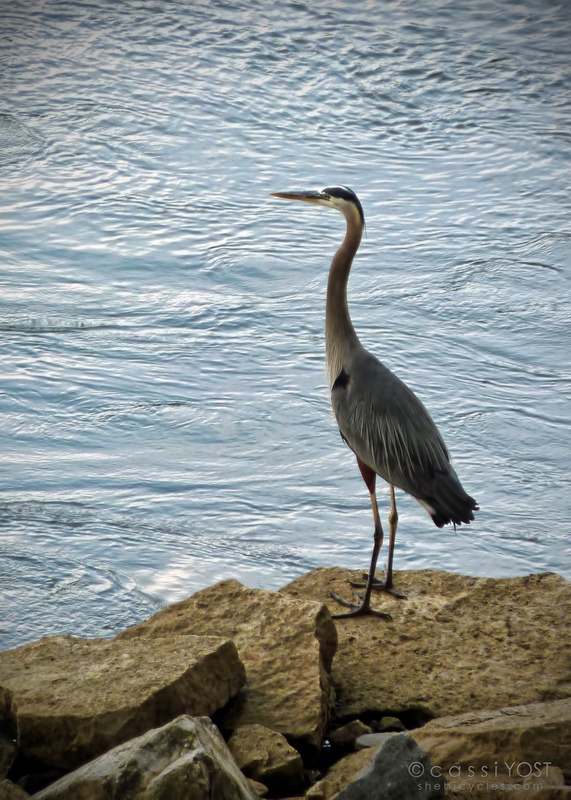 Mark and I are heading down along the Tennessee River – Harrison Bay and surrounding places. Should be fun – and not a difficult trip home if the weather becomes too wet. 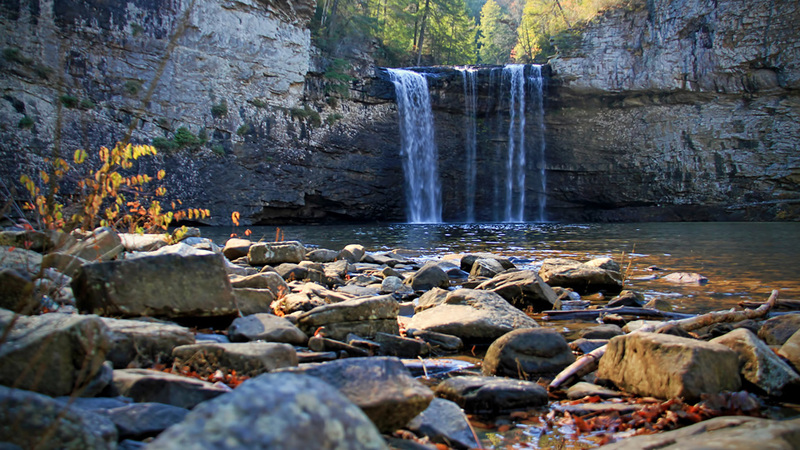 Taking camera(s) – of course – and looking forward to a few days of new scenery, new things to see. I will not have a computer or way to post, although considering trying mobile WordPress on the iPhone. Maybe. More likely, my updates for days 61 through 63 will show up by Monday. 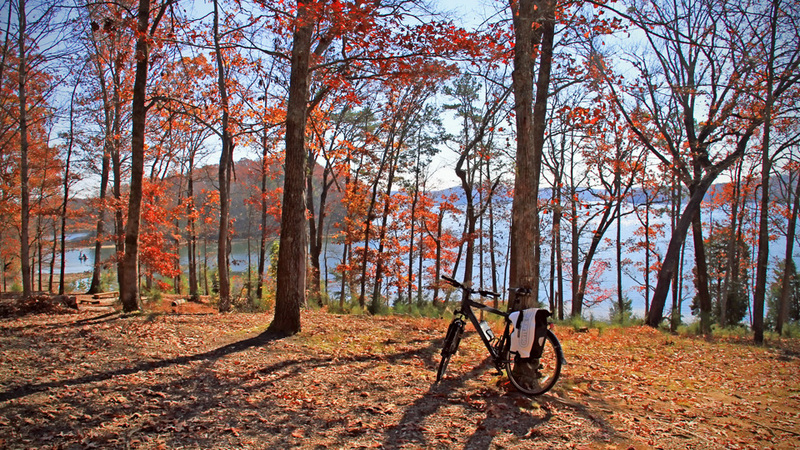 You can’t have much more fun than a camping trip by bicycle. 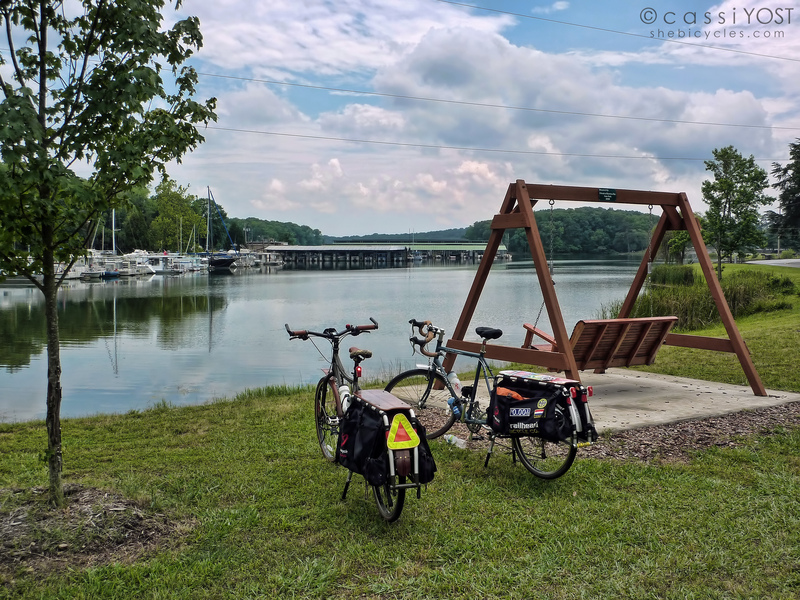 Mark and I packed up the Xtracycle “twins” on Friday and headed out toward Cherokee National Forest, the Hiwassee River, and Gee Creek campground for a weekend of fun and adventure by bicycle. It was a lovely ride over – although extremely “warm”. Temperatures in the mid-90’s, and I couldn’t guess at the humidity. We had only one mapping snafu. We had mapped a back-roads route so that we could avoid traveling on one of the more major roads – a road that is often used by logging trucks heading for the paper pulp mill in Calhoun. It was a good plan until the very end. Near the small community of Delano, TN, we could not locate one of the unnamed roads that would take us through the Amish community. We backtracked twice, looking for the connector, and finally gave up. It still remains a mystery as to whether the map was correct, or if the road really exists(?). 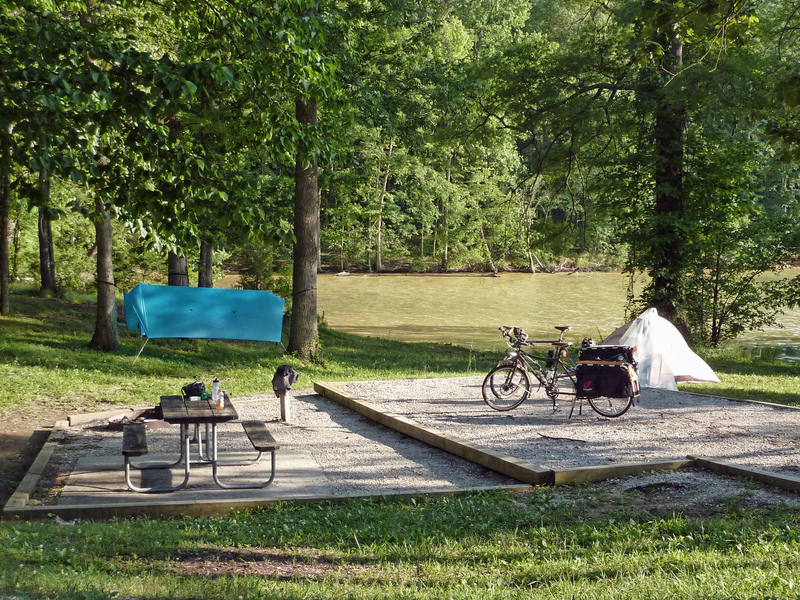 We arrived at Gee Creek campground in the early afternoon and had our choice of campsites. We unloaded the bikes, set up camp, and spent the remainder of the hot afternoon relaxing in the shade, trying to stay cool. Early in the evening we set out again to have dinner at a resort we had read about, Black Bear Cove. It was nice to enjoy a leisurely dinner in the air-conditioned lodge. 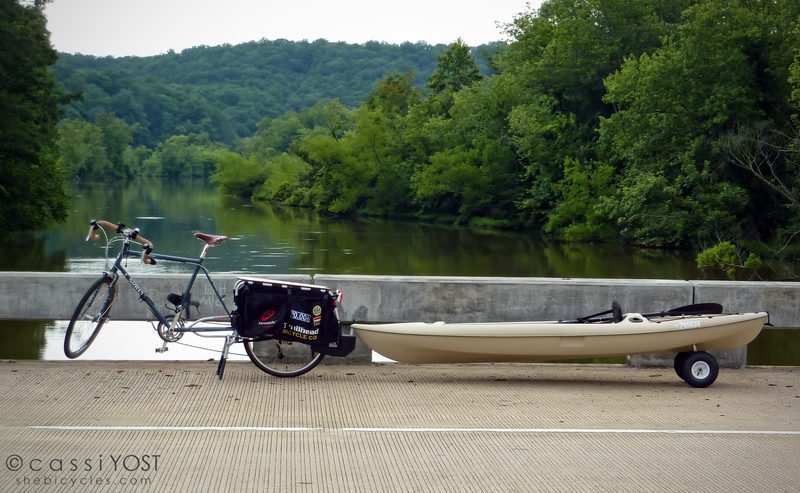 As the afternoon heat escalated, we decided to head for the Hiwassee River. We rented a kayak and had a nice, cooling trip down the river, snacking on a sweet watermelon we had picked up at the Amish market. Saturday evening proved to be … well … let’s just say an interesting and colorful local experience. There is a small local winery in the area, and they were hosting an evening concert in their “pavillion”. 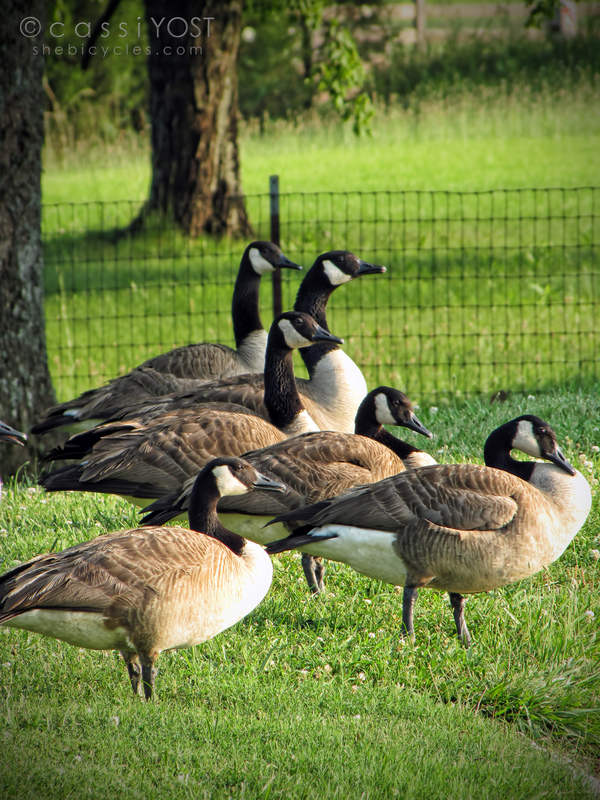 The Goose Creek Symphony (YouTube). I’m not sure what I was expecting, never having heard of the group. The winery staff described them as “putting on a really excellent show, not exactly country, not exactly bluegrass …”. 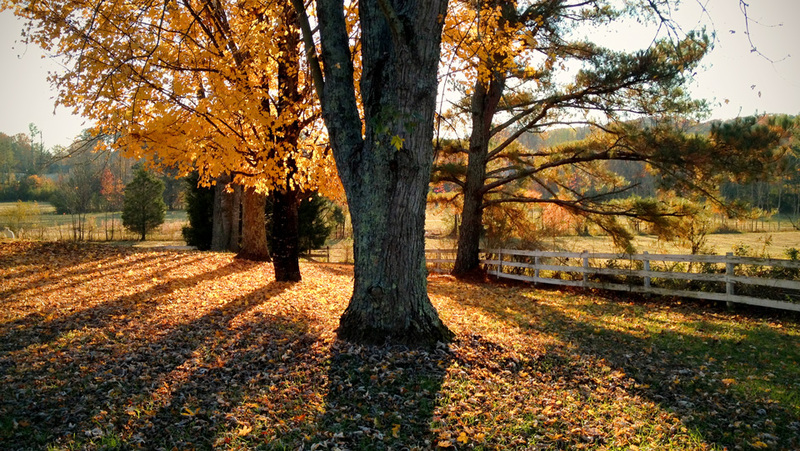 I kind of envisioned a neat bluegrass-y/mountain music kind of event, maybe a glass of the vinyard’s wine. Uuhhh …. not exactly. Let me just say, the “Symphony” was actually pretty talented – for that type of music (not really my cup of tea, thanks). Maybe you’ve heard the song that begins, “Oh Lord won’t you buy me a Mercedes Benz …”? Yeah. Ok. Well, that’s Goose Creek. 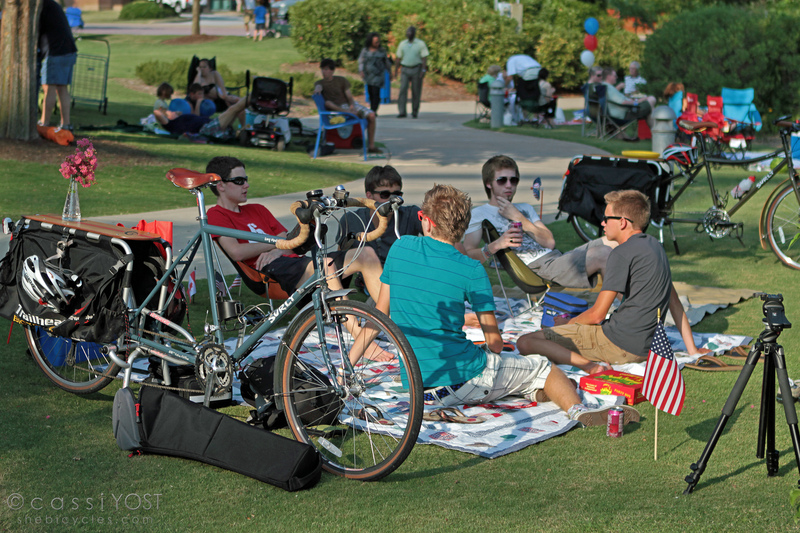 The Symphony may have had talent, the crowd on the other hand, was, well, quite a different story. I’ll just leave it at that. Mark had joked about visiting a place up the road called the Hillbilly Bar. Well, this may have been a winery, but the description could have fit just as well. Sunday morning we packed up for the return home. 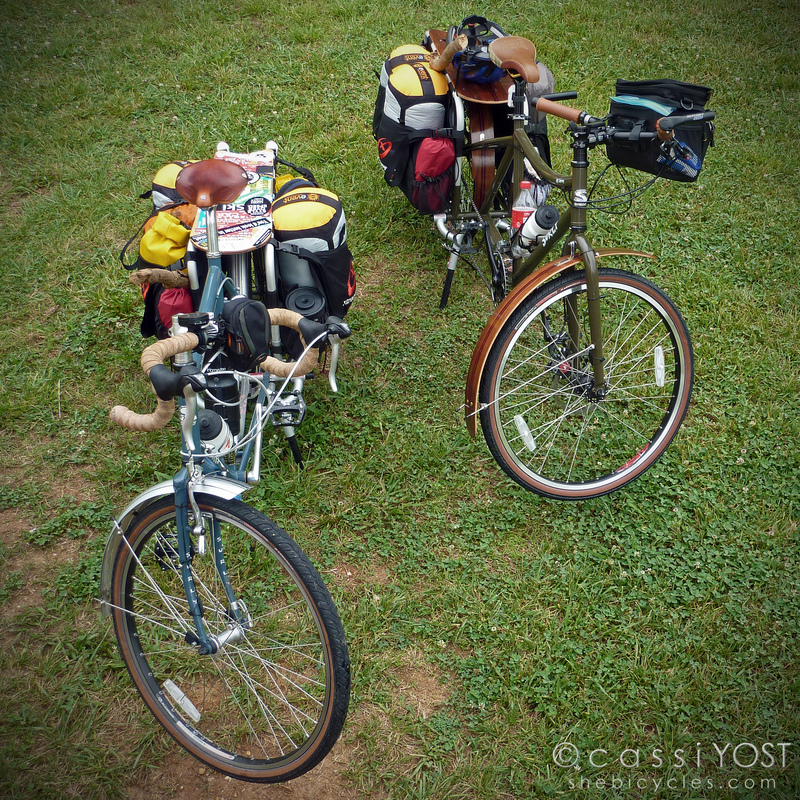 We had really packed fairly lightly, but it was still impressive to see how much gear we were easily able to stow on the bikes – with still plenty of room to spare – and not any messing with panniers, trailers, etc. 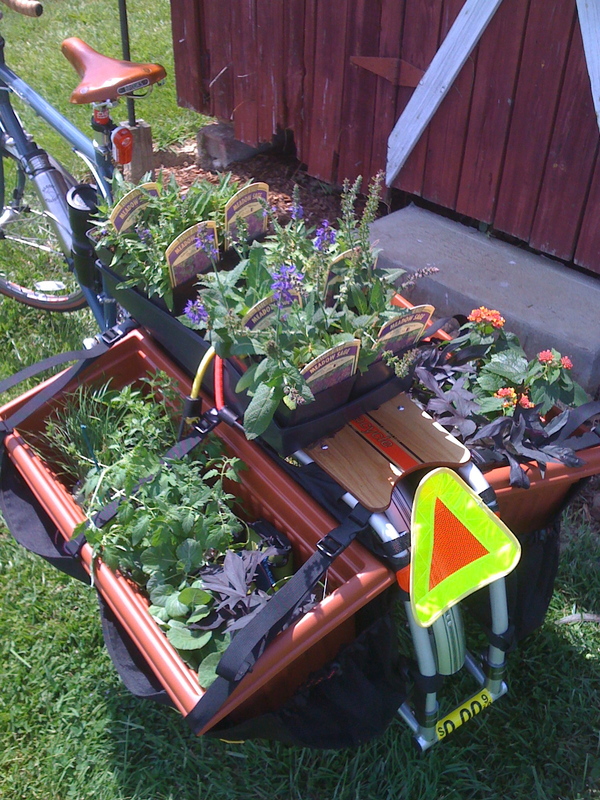 I love the versatility of the Xtracycle slings. 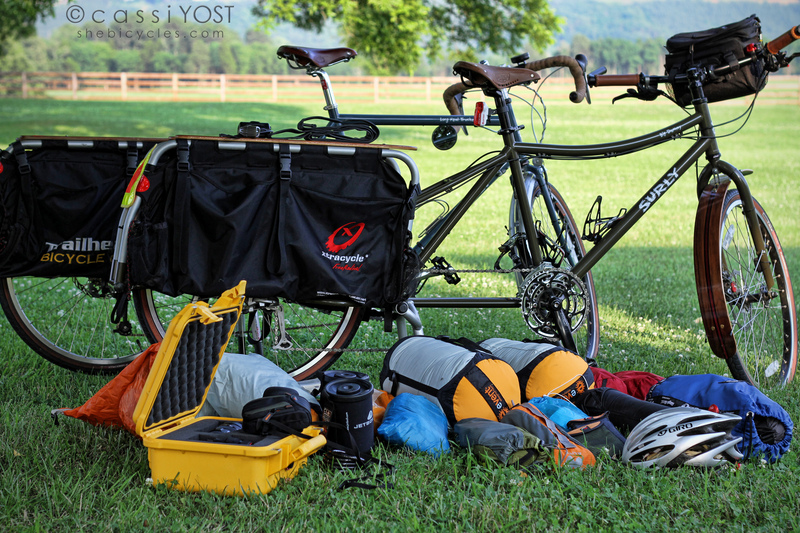 The gear/cargo size and shape doesn’t matter – there are no constraints to deal with when using the slings (unlike panniers). As much as I loved nearly all of the miles we put in, there was one stretch of county road that we covered that was paved with large, loose gravel/rock. It wasn’t the nice finely crushed and packed gravel of the Amish roads – it was just nasty chunky stuff. Without a major detour – or spending a few miles on the logging truck road – we had to use this road. 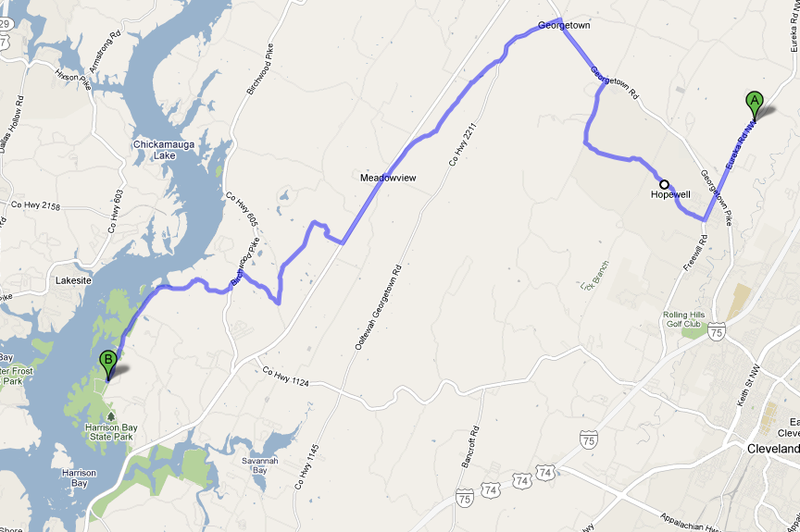 It wasn’t more than a couple of miles, but without knobby mtn. bike tires, there was a lot of wasted energy pedaling uphill, and a lot of teeth-rattling, sketchy sliding action on the downhill. I didn’t love it. Yuck. ... and my thumbs-up return to pavement! Arrived home in time to relax a bit in the afternoon (it was Father’s Day, after all). It was really a fun adventure. 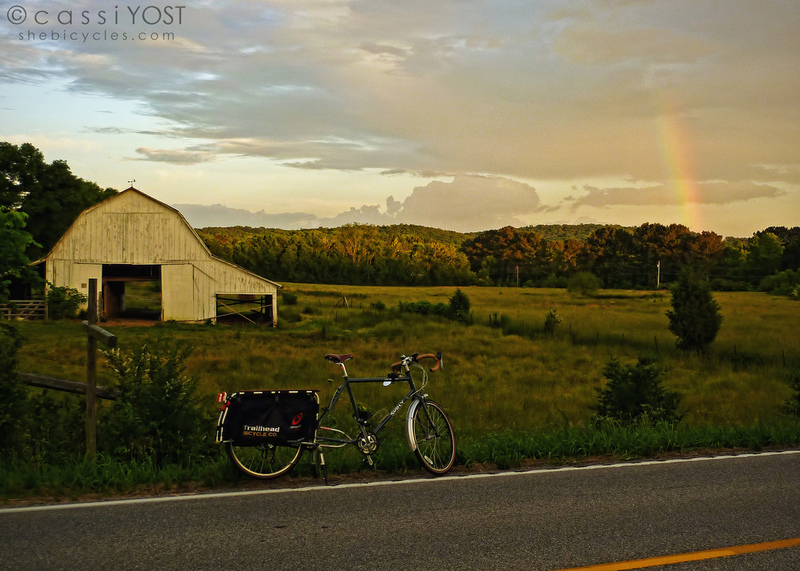 We logged some lovely and scenic miles and explored some back roads I would like to return to some day. 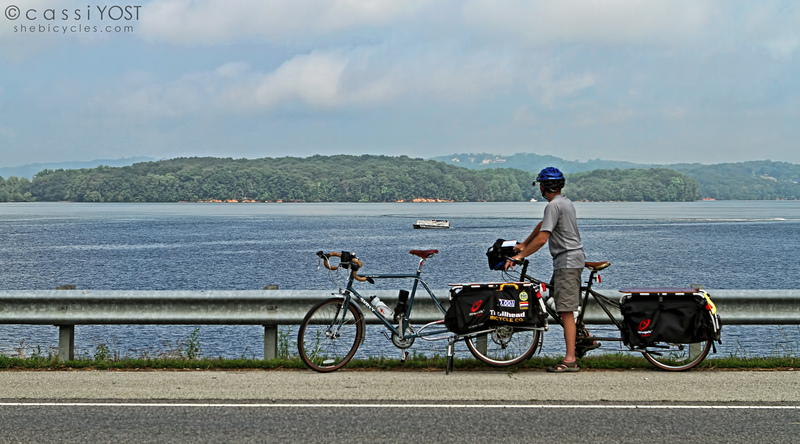 The Xtracycles, as always, proved to be amazing vehicles – easy to haul our gear, easy to ride. The perfect machine. 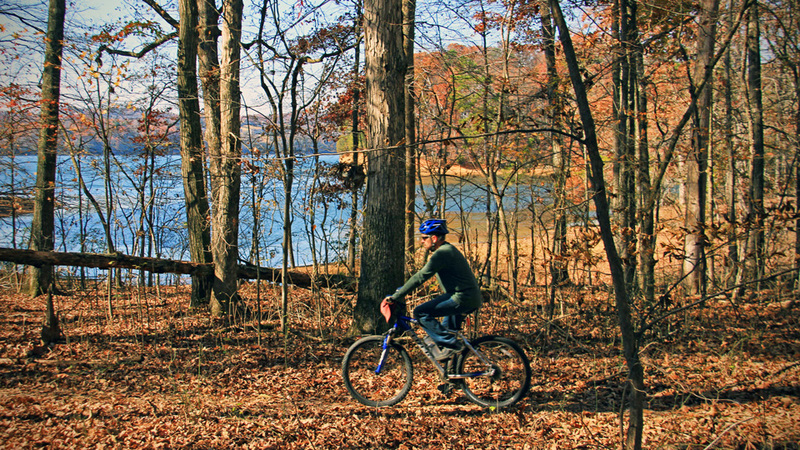 So – get your bike out and grab your tent and sleeping bag. 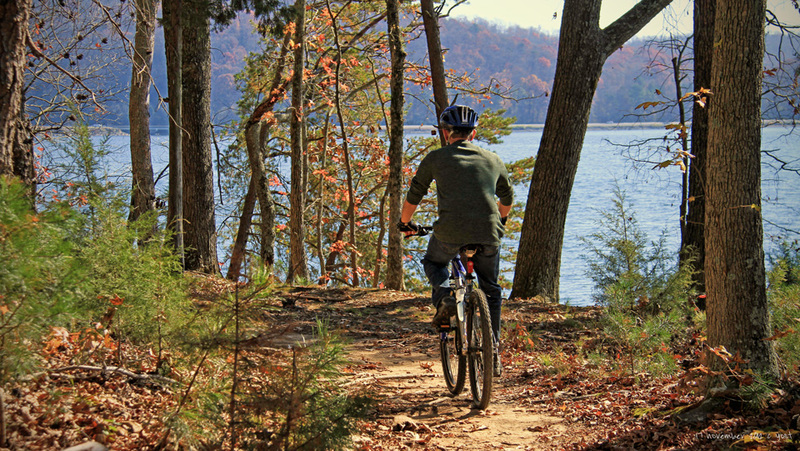 Have an adventure on two wheels. It doesn’t get much better!